Integratore vitaminico per la protezione della pelle - ESI S.p.A.
Ultraviolet radiation (UVA and UVB) emitted by the sun induces skin tanning, but also increases the production of free radicals. Therefore, it’s important to protect the skin properly during exposure to the sun. 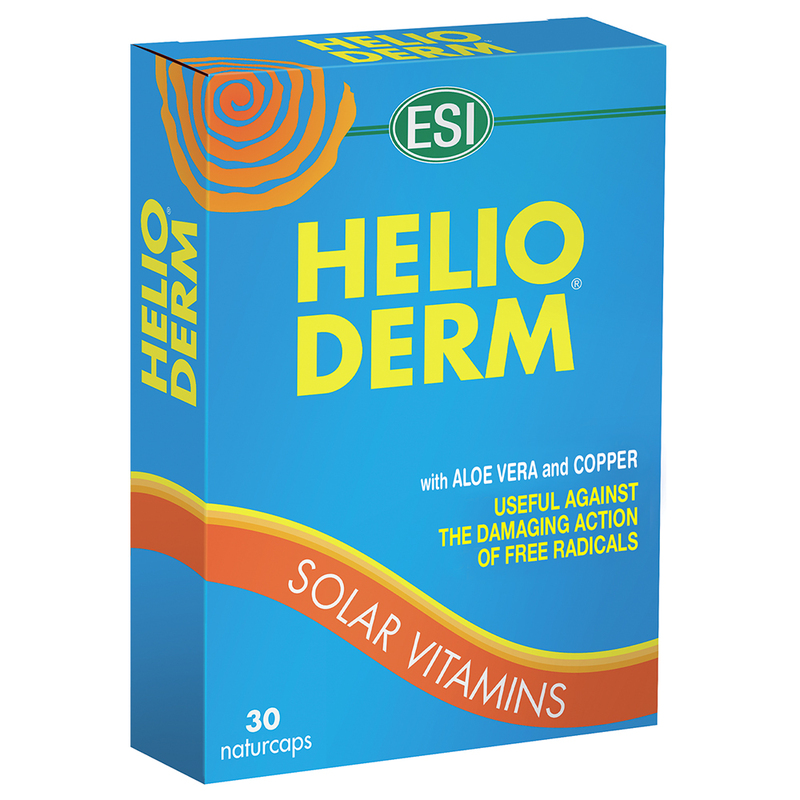 HELIODERM is a dietary supplement made with Aloe Vera and Copper with the addition of Beta-carotene, Lycopene, Coenzyme Q10 and Carrot extract. Copper helps normalize skin pigmentation and Aloe Vera protects cells from oxidative stress. 1 naturcap daily preferably on a full stomach. It's best to start taking HELIODERM 3-4 weeks before prolonged sun exposure.